If you somehow haven't heard enough of Pharrell Williams' “Happy,” you might want to enjoy it on YouTube right now. According to Bloomberg, media mogul Irving Azoff has demanded that YouTube remove songs from several popular artists, including Williams, John Lennon, The Eagles and Steve Miller. Azoff is acting on behalf of Global Music Rights, a royalty collection agency that recently took over rights management duties from Ascap and BMI for 41 songwriters and composers. 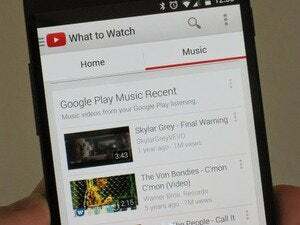 The group claims that there's no evidence of YouTube having a license to play its clients' music. And as Azoff told the Wall Street Journal, it's been difficult to get YouTube to prove otherwise. He's hoping that a unified group will compel the streaming video service to respond, either with takedowns or a new royalty agreement with significantly higher pay for clients. Randy Grimmett, Azoff's partner, told the Journal that Global Music Rights is also in talks with other streaming services such as SoundCloud and Pandora for new payment models. YouTube is the only major service that hasn't reached out for licensing deals, according to Azoff. Through a spokesman, YouTube simply said it has “done deals with labels, publishers, collection societies” without getting into specifics. Why this matters: Though it seems like inside baseball, the dust-up underscores tensions between artists and streaming music services. YouTube spent years trying to get labels on board with a subscription music service before announcing YouTube Music Key last week, and its hardball tactics angered some indie labels in the process. And last week, Taylor Swift pulled her catalog from Spotify, following in the footsteps of Radiohead—and prompting some streaming self-reflection from Sony. Some musicians have also rallied against Pandora, arguing that Internet radio threatens their livelihood. It's worth noting, however, that the major labels do quite well from these arrangements, and artists not getting their fair share is not exactly the streaming services' doing.